What we don’t know about filling dance floors, isn’t worth knowing. 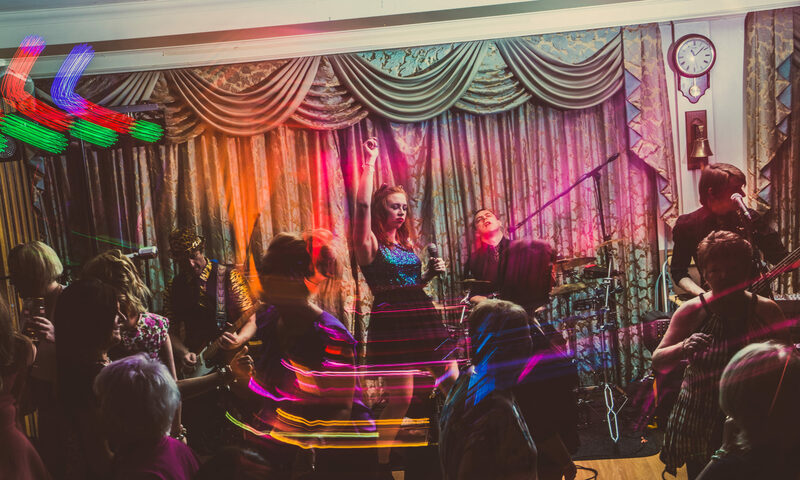 Hailed as the finest function and wedding band Manchester has to offer, The Midnight Cats are a tight, professional outfit, primed to make your big day or big event a downright dance-athon with a stand-out blend of pop, disco and funk. We work with clients, event planners and venues across the North West and beyond to give all sorts of sparkling occasions a sprinkle of our special spice. Energetic and versatile, we’re all about getting every guest up on their feet, creating the perfect atmosphere; from wedding celebrations and birthdays, to corporate functions and charity balls. Book us for your private function, throw us on a festival stage, let us light up your club night – the Cats are ready to please any crowd. From acoustic sets which provide the perfect background music for sit down meals, to full-on dance floor-filling fun, we’re ready to make any event a musical extravaganza. But what do we play? Well, that’s up to you. From the latest chart-toppers, to old soul favourites, we work with you to craft a stand out set list from our extensive repertoire, playing unignorably great tunes from all musical eras, served up with our signature extra shot of funk. We’re a pop band. We’re a funk band. We’re a disco band. Wrap your ears around a small selection of our tracks below, or contact The Midnight Cats today to talk about your ultimate playlist. We’ll learn your first dance song, amp up the funk or go full-on disco to suit your taste and get the crowd moving. Cat fact of the day!